Item # 309909 Stash Points: 1,995 (?) This is the number of points you get in The Zumiez Stash for purchasing this item. Stash points are redeemable for exclusive rewards only available to Zumiez Stash members. To redeem your points check out the rewards catalog on thestash.zumiez.com. Stance and the iconic Grateful Dead have come together to introduce a one-of-a-kind pair of socks dubbed the Bears Crew Socks. Featured with signature Grateful Dead jacquard knit logo script and bear graphics across the front, these moisture wicking crew length socks offer both classic rock styling and sporty performance. 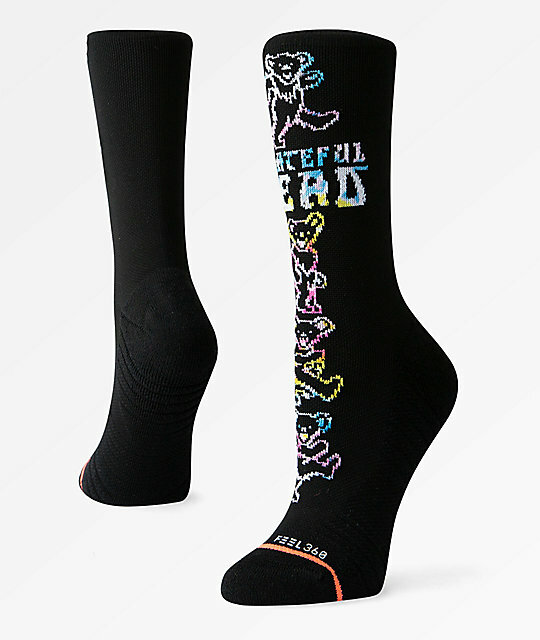 Bears Crew Socks from Stance x Grateful Dead. 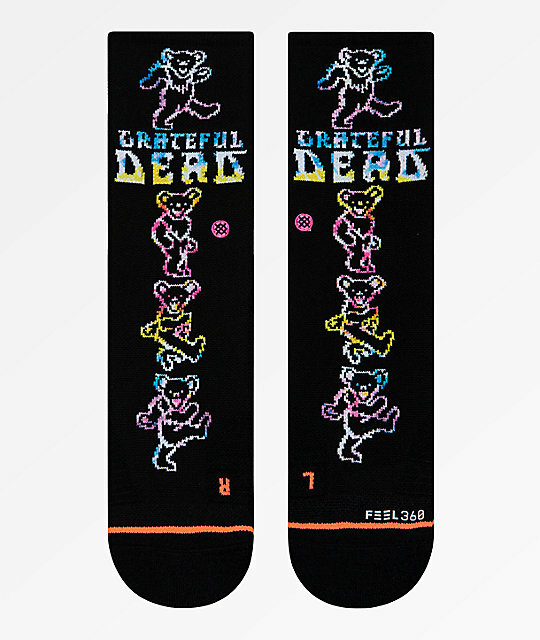 Signature Stance Socks and Grateful Dead collaboration. Multi-colored Grateful Dead jacquard knit logo script and bear graphics. Stance's FEEL 360 Technology mesh construction for moisture wicking performance. 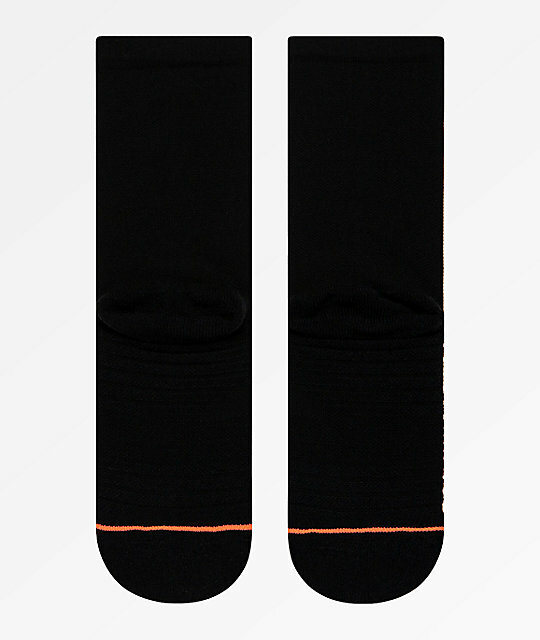 Stance's FRESH construction, helps eliminate bacteria and odor. Size Medium fits Women's US shoe size 8 - 10.5.